Assessing your skills should be one of the first things you do when you start a job hunt. If you don’t know the full list of skills you have, how can you expect an employer to see them? And if you don’t truly know the skills you have, how will you know which jobs you are suitable for? Get beyond the responsibilities and duties of your previous roles and identify all your transferable skills. But Why do I Need to “Assess” my Skills? Being able to stand back and assess the skills you have can be one of the hardest things about writing a CV and interviewing. To you, it’s just the job you did. It can be difficult to break it down into a set of skills that employers in a different industry could be interested in. You can easily be left feeling that your old career has nothing to offer you as you try to move forward in your new career. But it isn’t until you can take a step back from the routine descriptions people often give about their jobs, that you can begin to identify your transferable skills. THAT’s why it’s an important exercise. The ultimate aim of this exercise is to uncover the transferable skills you have. Once you’ve identified them, try to frame all of your communication in this way – whether it’s informal conversations, your CV or a formal job interview. When this is done well, instead of talking to employers about the tasks you carried out in a previous job, you are talking to them about the skill set you have as a result. …suddenly the role starts to seem more applicable. It’s not about overstating your previous employment, it’s about framing it in a way that is relevant to the employer you are trying to attract. 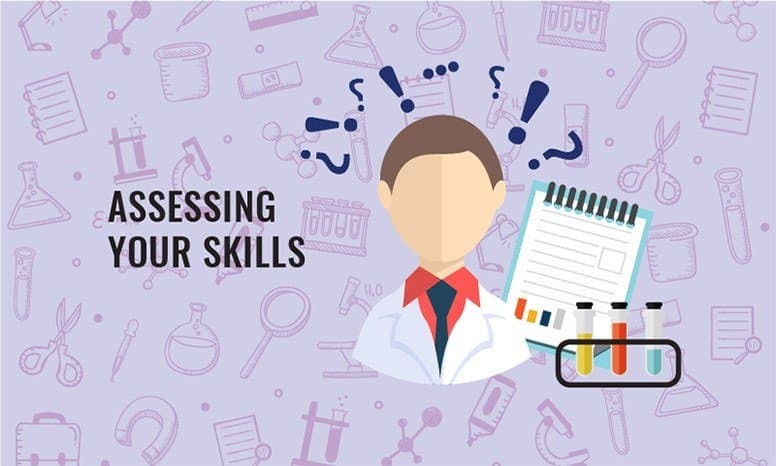 To get started in assessing your own skills, get yourself a copy of our Skills Assessment template (you’ll find the link at the bottom of the page). Analysis and problem-solving – did you spot a new way to do something? A process to streamline? When you’ve had appraisals or reviews, what were you told your strengths were? What have colleagues praised you for or commented on? What would people in the workplace ask for your advice or opinions about? This will help you talk about areas where you have particular skills and strengths. Once you have your list, take each point in turn and think of how to describe it using general “skills” words – communication, problem-solving, team working, etc. When your list is in this form, you’re well on the way to knowing what your transferable skills are. It’s also extremely important that you can give specific examples of success. If you can show an employer that you met the challenges offered in a previous role, they’re much more likely to be able to picture you succeeding in the job they’re recruiting for. Were you (or your department) set any targets to meet? How did you perform against them? If you didn’t have explicit targets, how was success measured in your role? What factors were taken into account at your appraisal or review? Being able to give a tangible and specific measure of success against your transferable skills, helps them be more compelling to a potential employer. Do this for each of the jobs you’ve had, at each of the companies you’ve worked for. And then consider doing it for any extracurricular activities you take part in if they have something new to offer. It’s important that you can show a hiring manager that you have the capacity to take on something new and do well at it. Once you have this diverse list of key transferable skills and points that demonstrate success, keep it and use it as a reference for each and every application. Refer to your previous list and pick out the skills, duties, and experiences from your previous roles that most closely match up against these specific requirements. These are the points you need to highlight to the employer. Within your CV you need to make these examples easy to find – do this by using the exact words and phrases used in the job advert, and by bringing them to the front of paragraphs and tops of bullet points lists. Make sure you keep a note of the points used for each application – if called for an interview, these are areas you should make sure you mention and discuss further. Always remember that the person looking at your CV or interviewing you is unlikely to be familiar with the details of your previous roles. You can’t expect them to be able to find transferable skills from it if you can’t! Learning how to lead people through your experiences, highlighting how they have given you the skills and capabilities you need for reskilling and being successful in this new industry is one of the most important skills you can develop in your job hunt. Get started on it today.